How are you today? Thanks so much for checking out my post. I thought I'd show you the card I made for my new team member, Janine. Welcome to my Possum Posse team, I'm so glad you joined & got that SUPERSIZED kit! Join My Team before 31 March to get your hands on one! 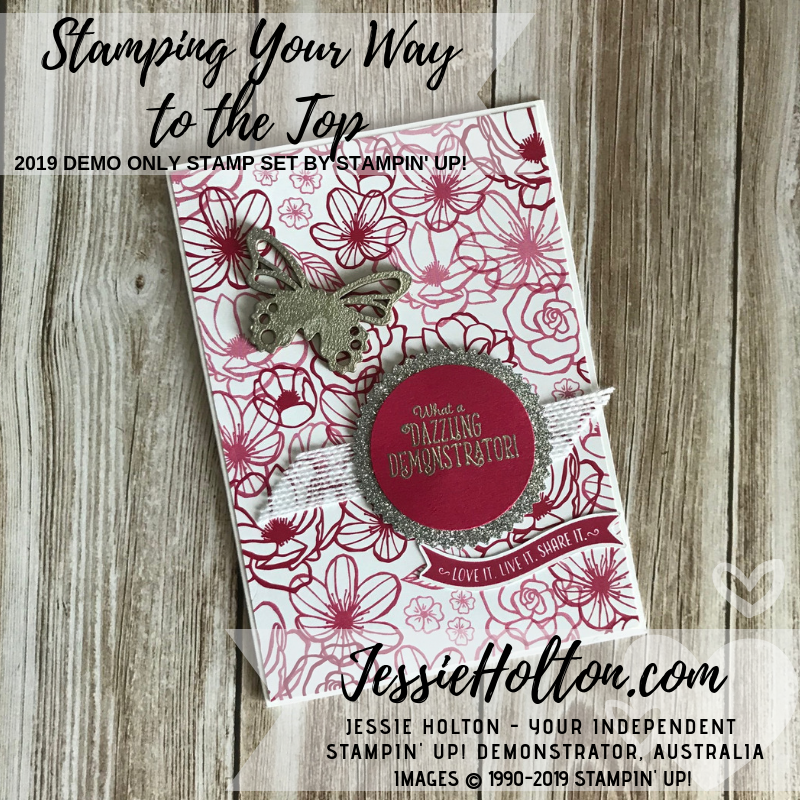 Of course, I used the Stamping Your Way to the Top (demo only) stamp set for the main sentiment & also the little flag. 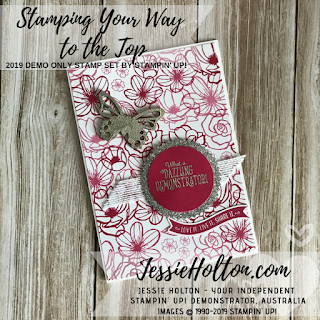 I've paired it with the All My Love Designer Series Paper (DSP) & the Butterfly wooden elements from Sale-A-Bration, which I've silver heat embossed. Hurry! Sale-A-Bration is only on for a few more days! Ends 31 March. Add some Silver Glimmer Paper cut with the Starburst Punch, Silver heat embossed sentiment on Lovely Lipstick cardstock & 1-3/4" Circle Punched & a bit of the White Flax Ribbon & you're done! Simple but oh so pretty!